I wanted to visit Hole In the Wall in Century Mall for the longest time. Finally, I was able to visit it along with my balikbayan SIL last December 27. 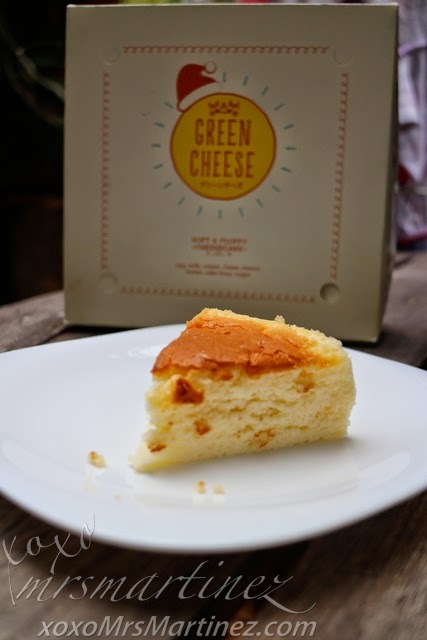 Since I read so many good reviews about Green Cheese Japanese Cheesecake, it was the first stall that I looked for. I was surprised that I was the first in line. Maybe because it was already dinner time. Anyway, I ordered 2 boxes to go. I reserved one box for us and delivered the other box to my ninang the following day. 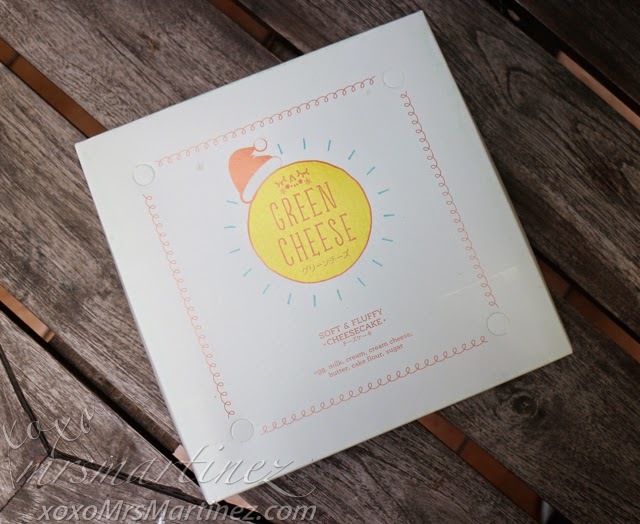 The box is cute with a Santa Hat on top of cheery Green Cheese logo. 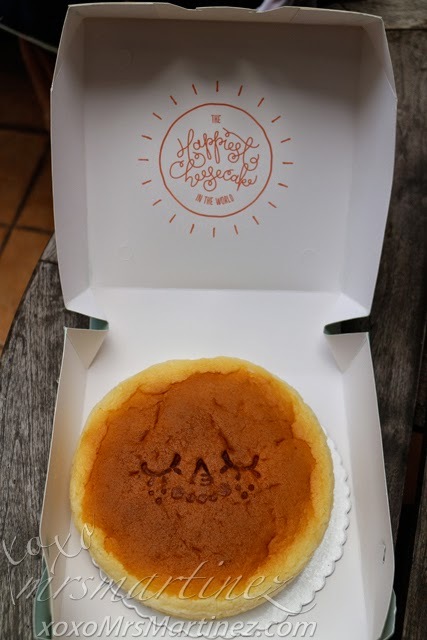 It reads "Soft & Fluffy Cheesecake". 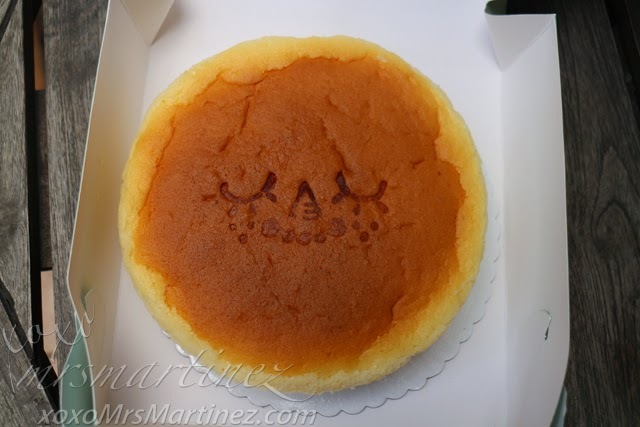 Ingredients like eggs, milk, cream, cream cheese, butter, cake flour are also written on top of the box. Expiration date was clearly written on a sticker on the side of the box. December 30, that's the expiration date but the cake didn't last that long ; p We ate half of the cake right then and there and took home the rest for everyone to try at home. The cake is not really big in size, maybe just as big as the palm of my hands and my hands are tiny. We just have one slice each. It was fluffy, airy, spongy and delicious. It was bitin so I will definitely be back for more. Maybe next time, I will try the Green Tea flavored one. Green Cheese is located at the 4th Level Hole In The Wall in Century City Mall.